Jennifer Baker in Culture & Arts Drama on 20 November, 2017. The reason a play like BU21 is so important today is because it’s true. BU21 follows six young people in the aftermath of a huge terrorist attack in London, and in a time where every night on the news we see images of terrorism all over the world, it’s difficult not to relate to them. I think the recent bomb scare in New Elvet really brought home the reality of the play to me. As the police locked everybody into Elvet Riverside, with a hundred rumours circulating about what was going on and about how long we would be stuck there, I watched the panicked tweets unfold on Twitter and was suddenly struck by how eerily similar it was to moments within the play. Luckily, nobody was hurt in the incident, but it still brought home the fact that even when nobody knew what was going on, the idea on everyone’s minds was a terror attack. But aside from it’s very pertinent subject matter, BU21 has so much strength as a play because it was written based on verbatim accounts of people who have actually survived terrorist attacks. The playwright, Stuart Slade, wrote the piece based on interviews with survivors of several attacks, particularly 9/11, the London tube bombings, the Lockerbie bombing, and the recent attacks in Brussels and Paris. The words become ever more resonant when we stop to consider the fact that they reflect the very real experiences of so many people around the world. We decided to stage BU21 in Cafédral as much of the action of the play takes place in a support group for survivors of the terrorist attack. We hope that Cafédral will help to create the community atmosphere as we invite the audience to inhabit the same space as the characters. Directing this play has been a long and emotional journey, but one that I have been so lucky to undertake. It has been a pleasure and a privilege to work with such a talented and dedicated production team and cast, and I hope enjoy watching their work as much as I have. 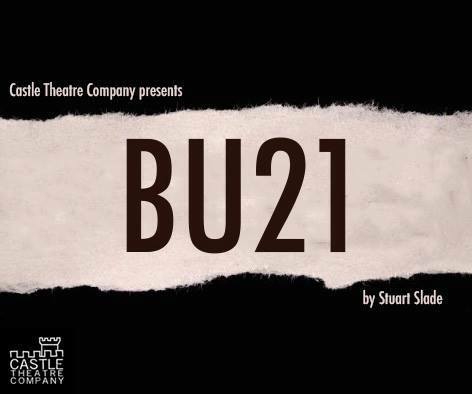 ‘BU21’ is on at 8:00PM, 23rd– 25th November at the Cafédral.